Oh Cevicheria! We cannot tell you how happy we were to find out about this place. We are huge fans of delicious Peruvian food. And it seems that the Peruvian food wave had not reached Berlin or Germany for that matter. 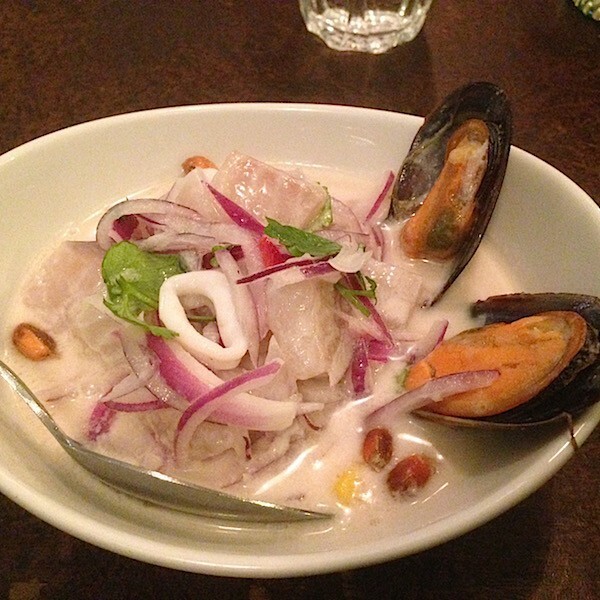 Yes, there are a few Peruvian places in Berlin…but nothing to rave about. Until now! The other day we were reminiscing about our trips to Peru – and how wonderful the food has always been – when a friend invited us for a Peruvian dinner. Of course we were a little skeptical at first. But we went with it. Thank God we did. The food is delicious! Cevicheria is located on Dresdener Strasse in Kreuzberg. Right off Kottbusser Tor Subway Station. Get off the Station, walk through a sketchy alleyway (we love when we have to walk through sketchy places to get to the cool places). You’ll be right there. The street itself is very cozy and filled with intimate looking, dark bars and restaurants. 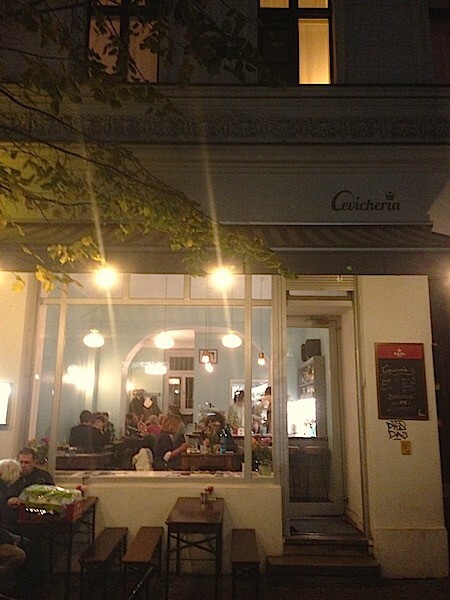 Cevicheria is the bright and airy spot on the street! The ambiance is super casual and cool. The color scheme and the music took us immediately to a cevicheria that could be located in the heart of the cool Barranco neighborhood in Lima. The staff is super friendly (that’s a given, right?) and will do everything to make you feel at home. The menu changes every two weeks and seems to be carefully planned around what’s fresh. It centers around traditional peruvian dishes (ceviches, tiraditos, leche de tigre, causas, chupe) and is superbly prepared. 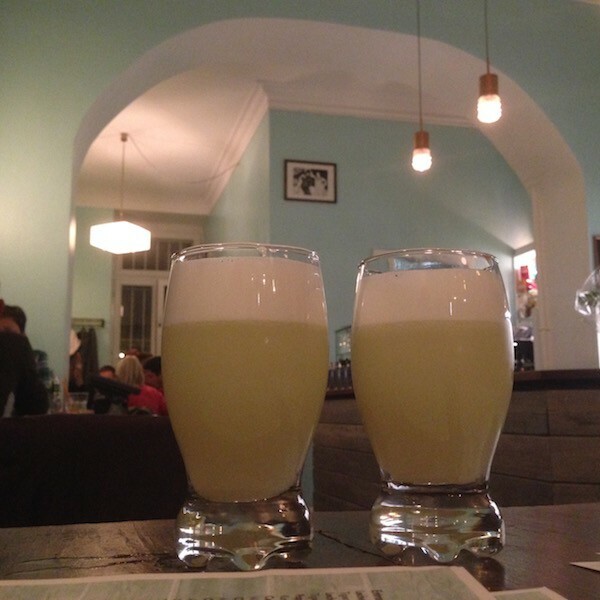 Make sure you order the super refreshing and “dangerous” pisco sours! And the “Suspiro a la Limeña” dessert is a must to help you get a little sober after so many pisco sours! Make reservations as the place is getting popular by the minute and space is limited. They open for lunch and dinner!